According to the EarthSky Newsletter, five planets will be visible to us in the Northern hemisphere in March. They are (listed from the closest to the sun): Mercury, Venus, Mars, Jupiter and Saturn. The newsletter contains detailed information on which planets are visible with the naked eye and the best time to see the planets. For example, Jupiter and Saturn will be easy to spot in the night sky. Jupiter will be the easiest to see beginning right at dusk. 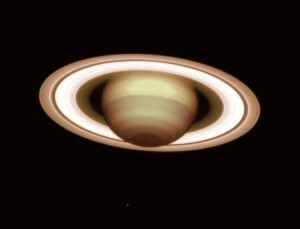 Saturn will be seen later at night or early in the morning. Check out the EarthSky newsletter for more information.